Stress is simply a reaction to a stimulus that disturbs our physical or mental equilibrium. Pressure for a deadline helps us to focus. Everyone reacts differently to situations and what may stress you may have little impact on a friend or colleague. Your stress is still real and can have an effect on your mind and body. Prolonged stress can affect your mind, body, emotions and behaviour. 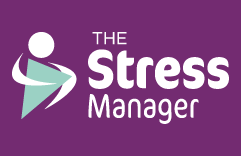 I work with you to help you identify what is causing the stress; it is often only 20% of your life which causes 80% of your stress. Once identified we can work together to make changes to your behaviour and thinking so you react differently to the situation.